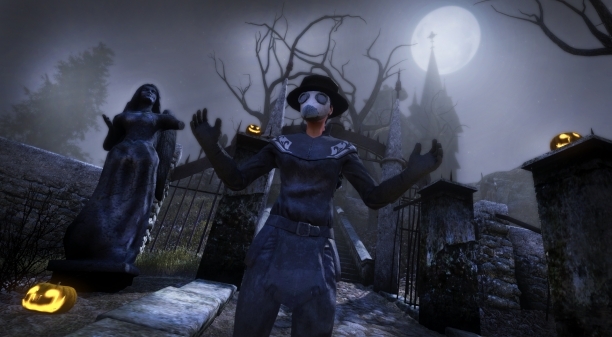 TSW is one of those games where murder, mystery, and the occult thrive. The devs have created 10 brand new item missions and 10 brand new storylines just for this year’s Halloween event! The event runs from now until November 8. Get in game and enjoy this amazing event. 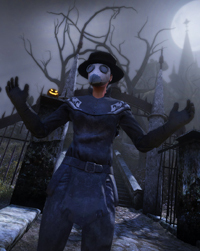 Halloween is a very special occasion in The Secret World, and this year we have a unique treat for you! 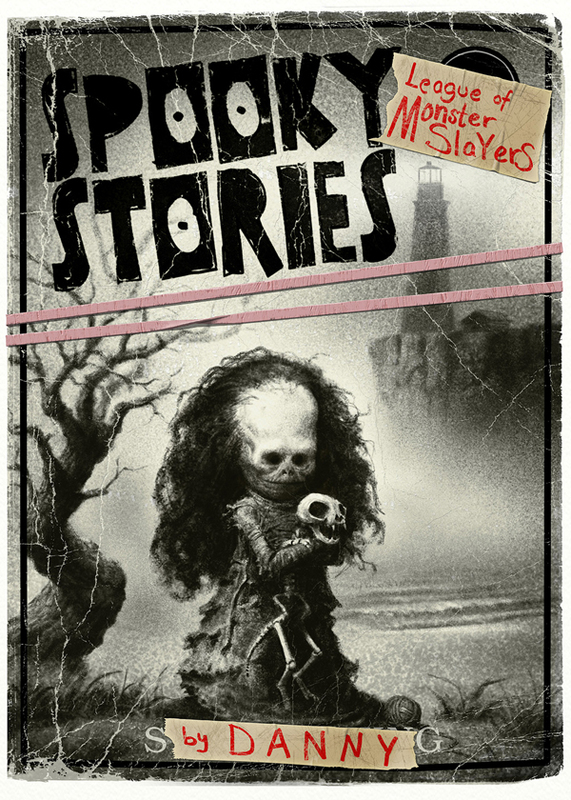 You can enjoy ten new Item Missions with ten exclusive scary stories written for this occasion alone. You will find these spread throughout New England, as they are built on local urban legends and told by the Solomon Islanders themselves. Complete all the new missions and gather up all the stories and you will get a special reward from Danny Dufresne and the complete set of stories bound into an in-game book, which you can read through at any time! I despise the trope of the unreliable narrator, so you can imagine my self-loathing, tonight, as I bleed black upon the blank page. I was full of with self-loathing that night too. I was a writer, barely at the start of my career, and I’d run out of stories. But that is of course not all. The Cat God is making a return for this year’s Halloween, so get ready for a harrowing chain of Missions where you get to see Stonehenge in its ancient form. We are also introducing plenty of new and exclusive Halloween items this year, some of which can be gotten as rewards and loot and others in the Item Shop. Does dressing up as a Plague Doctor for Halloween this year sound tempting? 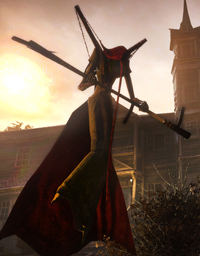 The Halloween events start today and will last for two weeks, until the 8th of November. 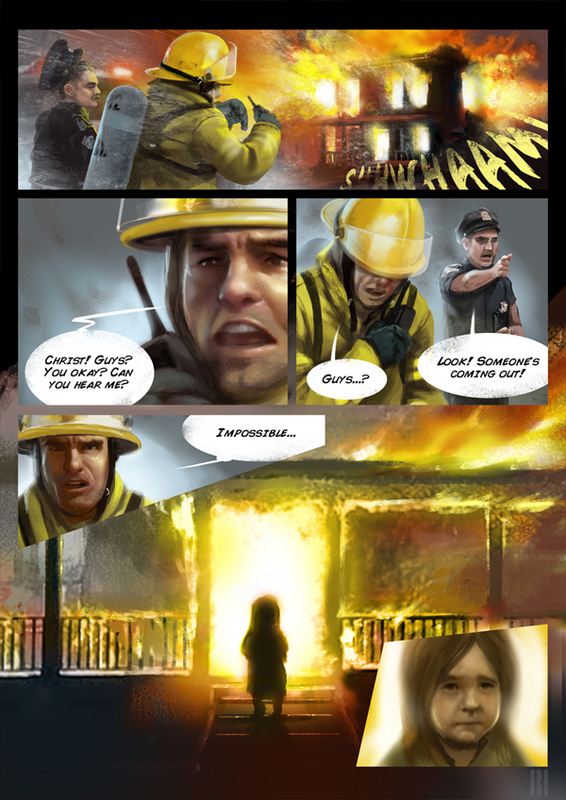 TSW’s Issue #7 is in full swing with the next plot point, The Whispering Tide, moving into play. Tokyo’s Argartha portal has been infected by Filth. Join together with fellow players to battle against the Tide and reclaim part of the World Tree before it’s forever destroyed. The Filth is pouring. Pouring into the pristine Agartha and threatening the world tree itself. The struggle against the rising darkness has entered a new phase. The subtle balance of the world seems to be shifting. The latest actions in Issue #7: A Dream to Kill have set devastating events in motion, and the motion is creating a tidal wave of Filth. Players must now take up the fight against this tide of Filth emanating from Tokyo’s Agartha portal. The battle will rage until the Filth has been beaten back and access to Tokyo has been won. But any chance of victory is still far off and only by pulling together the players will be able to stem this tide of darkness. Today they can see the effects of the Filth as a new Agartha portal gets infected. Before the players can battle the Filth creatures within this portal many resources must be gathered by the community and put to the right use. 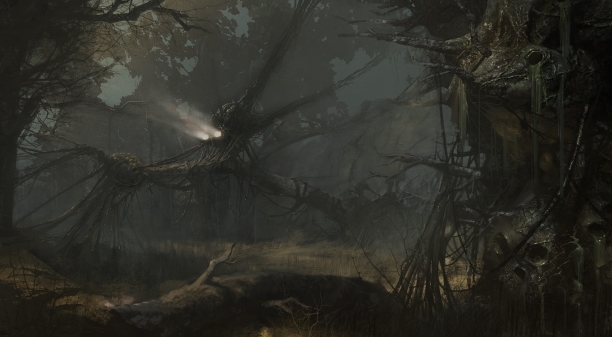 Only then will a brand new area of Agartha open up and what lies beyond can be explored. This is still only the beginning of a long string of events which will run until access to Tokyo has been achieved! The events will escalate as the battle between the players and the Filth grows more and more ferocious. The more each player contributes to the struggle the more they will be rewarded and the more success the community will have. More and more rewards will become available as the events progress, and they will include many unique treasures, such as clothing, outfits, powerful gear and a pet! So get out there people, show the Filth what The Secret World’s community is made of! 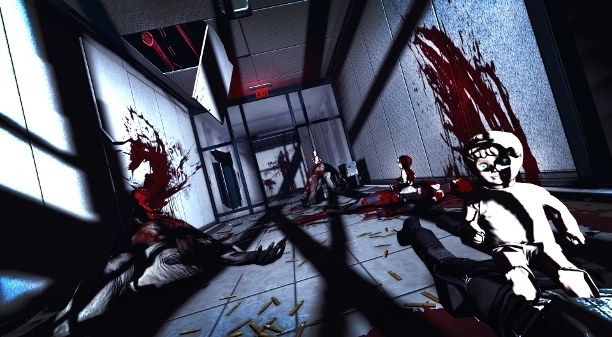 The Secret World: Get Your Art Designs Into the Game! Not be outdone by recent EverQuest Landmark announcements, Funcom is now going to allow players with mad outfit art skills to get their designs into the game. This contest runs until September 15th, so get your works in now! 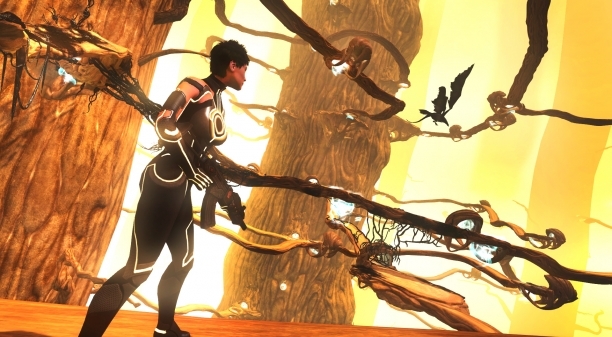 As announced in this article on The Secret World website, we are holding a contest where you can send in a design for an outfit (male and/or female) you created yourself. The contest runs from August 16th until September 15th, 2013. During that time, you can enter your design suggestion (as a drawing, sketch, painting …). You can also send in more than one design. A jury consisting of a team of our developers will then rate all entries and will pick the five best designs for each male and female outfits – so a total of 10 designs. Those 10 designs will then be put up on the forums where everyone will have the chance to vote on his/her preferred design. So you – the players – will pick the final winner of the contest. 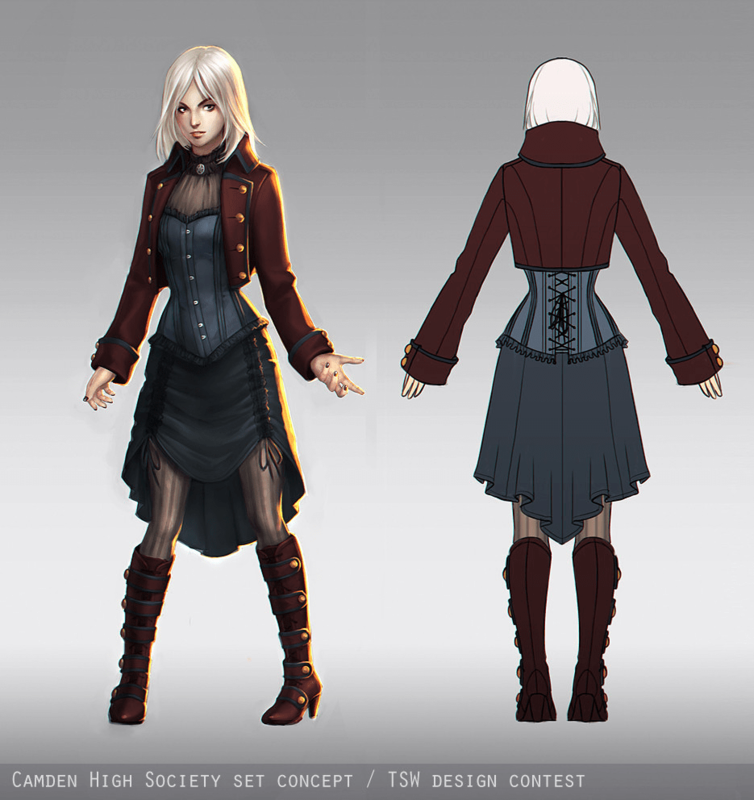 The winning outfit design will afterwards be created by our dev team and will be made available in-game in the The Secret World item store. The winner will of course receive this outfit for all of his/her characters for free! Every art contribution sent must be of your own creation or be sent with the consent of its creators! For unisex outfits, please provide a male and female drawing, as part of the same submission, so we can see how it fits each gender. 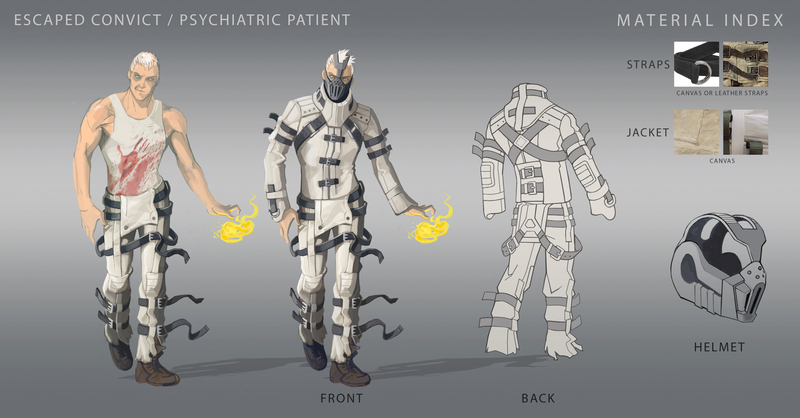 Post your design (graphic should be a high resolution .JPEG or .PNG file with a neutral background (preferably white or grey)) in this thread on the The Secret World forums. That thread also provides additional guidelines for potential entries so please make sure you read it before submitting an entry. Alternatively you can also upload your art file (graphic should be a high resolution .JPEG or .PNG file with a neutral background (preferably white or grey)) to a file sharing service of your choice. For example the free service WeTransfer (https://www.wetransfer.com/). If you post your entry on the forums, you don’t have to do anything in addition. If you chose to upload your file to a file sharing service, you have to send us the link to your file by email to contest@thesecretworld.com . The big announcements are the integration of the new Augment and Scenario systems, plus the unveiling of the first half of Tokyo. 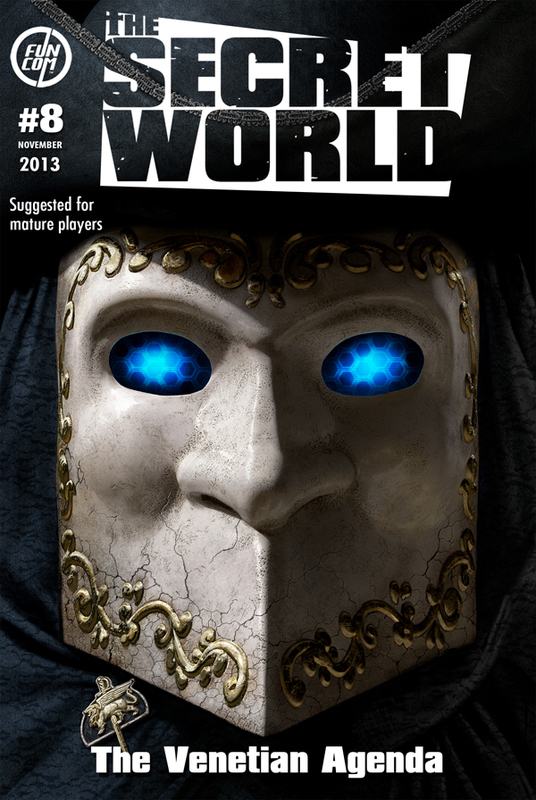 If you’re a fan of TSW, Issue #8 should be great! The warmth of summer is upon us and most of the dev team is back from their vacation and raring to go on Issue #8. I’ll keep this update short and sweet. First of all, I wish to thank everybody who joined in the celebrations of the first anniversary. It was a huge success, some technical glitches aside, and it was amazing to see the way the community came together to form a great hunt which purged The Secret World of the Guardians of Gaia almost as soon as they appeared. It’s also been a great learning experience for us and will help us to direct large scale events in the game in the future. Thank you to everyone involved, and let’s make sure that the second year of The Secret World will be as amazing as the first! There have been quite a few community questions regarding the Fusang Pet – it will be available through another event at a later date for those who missed out on it during the anniversary. Moving forward, we are splitting the development team into two different areas of focus – the systems driven updates for Issue #8 and the content heavy new Tokyo playfield for Issue #9. 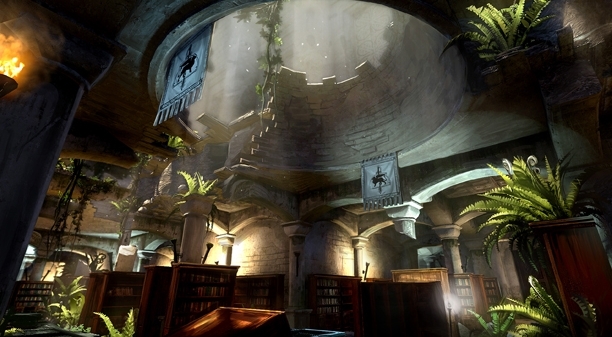 Issue #8 begins at the Council of Venice, the location where players will be able to access the Scenario system. From there, players will need to earn certification for entering Tokyo by running a certain number of scenarios. The plan is to ship Issue #8 with a number of Scenarios, some of which will be free and others which will be available for purchase in the Item Store just like in other Issues. The Augment system, which allows you to improve almost all of the abilities in your arsenal, will also ship with Issue #8. The Augments, which require crafting to create, are made from base drops which players can collect during the Scenarios. The Augment system and Scenario system go hand in hand and, in reflecting the growing versatility of the player with regards to Anima, as you increase your skill in Augmentation, your ability to store Ability Points will increase. Some of the more expensive Augmentation upgrades can cost several hundred AP. Then, there is Tokyo. This is the one that people have been eagerly awaiting for a while, and we aim to meet all of those expectations. We’ll be pouring all of the lessons we have learned over the past year into Tokyo and we’re very excited to start letting people into the zone. As I have mentioned previously, Tokyo will be broken down across several updates. Issue #9 will contain the first half of the zone – including an expanded section of Venice and a return to a location that everybody will recognize immediately. Other updates will contain the second half of the Tokyo zone, and other important parts, such as the Tokyo Lair and the Orochi Tower, which has both a solo and component and a group dungeon. Tokyo also includes a location which will reveal the next zone where we will be taking the story. We’re very excited about the work we are doing on Tokyo and the zone is a massive urban landscape which really highlights the setting and the strength of The Secret World. I look forward to telling you more about it, over the coming months. As can be expected, the first year anniversary celebration for TSW is massive and the Funcom team has a ton to be proud of. 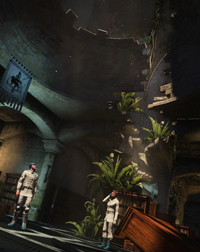 TSW really did offer a completely different style of MMORPG, the most fundamentally different combat and skills systems, and a remarkable, groundbreaking questing system that truly challenged players to seek for answers themselves. I personally believe it is the best F2p MMORPG on the market today. Read below to find out more about the brand new content, huge discounts in the item shop, and you can even play the game for free without buying the client first during the week-long party. 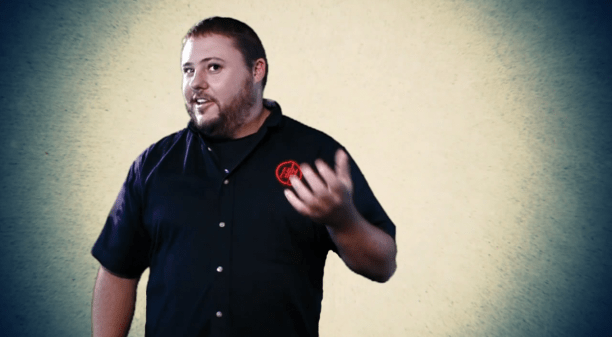 GAME DIRECTOR LETTER – JUNE 2013 + ISSUE 7 TEASER VIDEO! When we unleashed The Secret World it was a time of great pride for us. In an industry and a genre where we felt that innovation was slowing and that design had become cloning the ideas of the competition – we had done something different. From the ability wheel to the investigation and sabotage missions to the atmosphere and setting of the world to the incredibly detailed voice acting and cutscenes, we were poised to make our mark. Over the past year, The Secret World has evolved and grown, but our mission has always remained the same – deliver experiences that you just cannot find anywhere else in the MMO genre. During that period we have delivered 7 major content updates which contain dozens of new missions and cutscenes, features such as Plastic Surgeon, the Barber Shop, the Marketplace and the Albion Theatre, additional progression in both PvE and PvP via Auxiliary Weapons and Battle Ranks. And of course, we have added new nightmare modes to several of our existing dungeons, new lair mechanics and lair raids and of course, the Manhattan Exclusion Zone raid. In addition to all of that, we have added hundreds of new clothing items to the game (both as ingame rewards and in the clothing store) as well as a veteran system for our loyal members and Grandmasters and new items for streamlining the player experience throughout the game. I’m extremely proud of what the team has achieved over the past year and despite some hardships along the way, I believe that they have all gone above and beyond to deliver the quality that differentiates The Secret World from the everything else in the genre. With all of that said, we’re ready to unleash the Guardians of Gaia – our special anniversary event – upon the world. From July 3rd, the Guardians of Gaia will be awakening in areas all across the game. These massive creatures, formed of the primal elements, are the second line of defense for the planet against the strange infection known only as the Filth. We’ll be offering free gifts to all of our players and a little something extra for our members and Grandmasters. 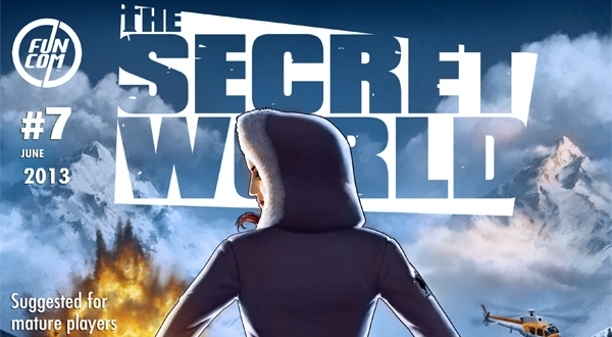 Even more events will be coming to The Secret World, so stay tuned for that! Finally, all players who have ever played a Funcom title will be invited to join us in the celebrations and play The Secret World without any need to purchase the client for an entire week. We invite all players, old and new, to join us for the Anniversary event which, as mentioned, starts on the 3rd of July. Immediately after the anniversary is done, we will unleash the content of Issue #7 upon the world on the 8th of July. Issue #7 will offer many new missions and hours of action filled content, but most importantly it will reveal hidden secrets and uncover new and crucial story elements. In A Dream to Kill you will witness the Orochi’s terrible experiments in Transylvania gone horribly wrong, but you will also discover even darker forces – threatening the life of Gaia herself! 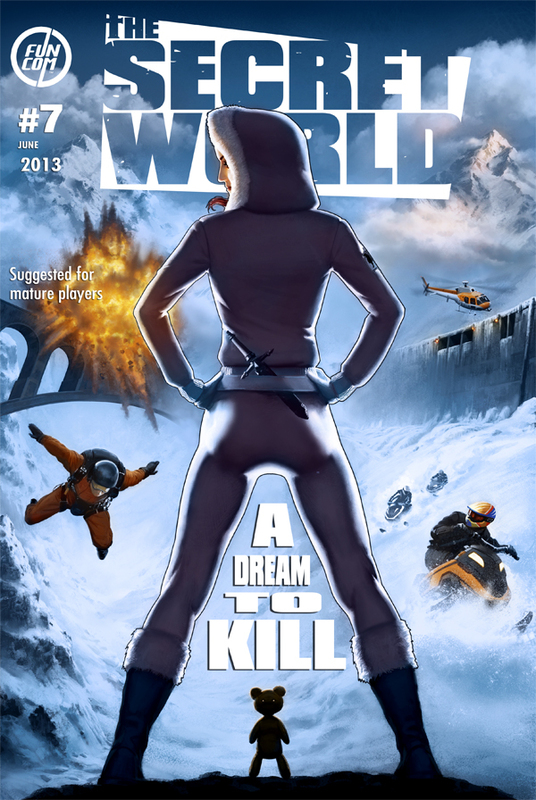 Issue #7; A Dream to Kill continues The Secret World’s main storyline and sets up this story’s continuation in Tokyo. This will be an Issue you do not want to miss! 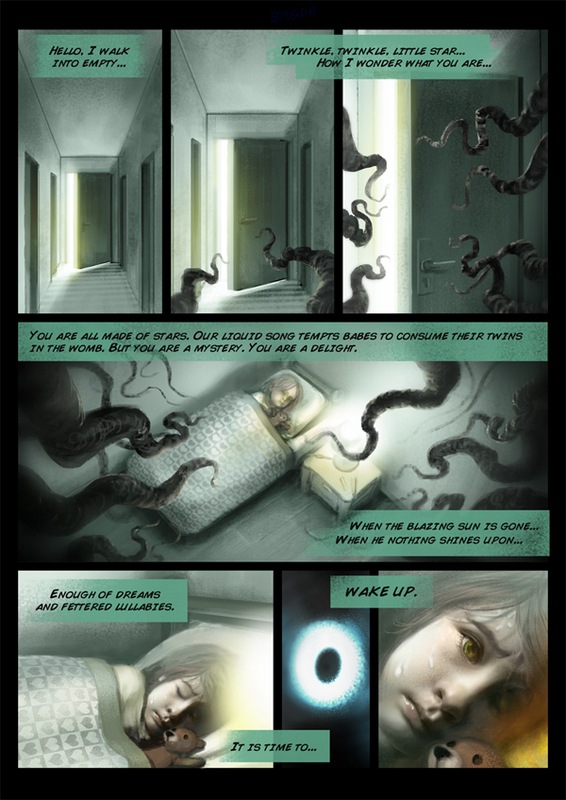 Catch the ominous teaser video of Issue #7 here. 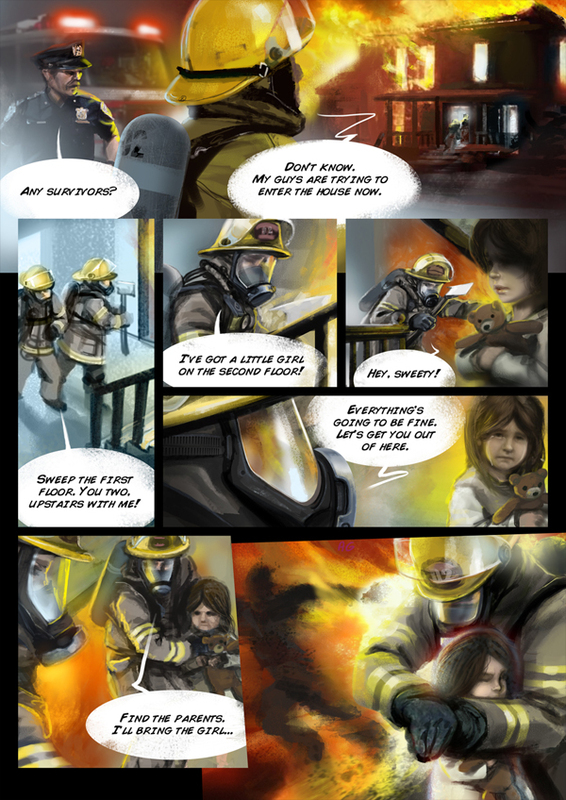 You can also enjoy this updates’ Comic. It shows a very important character in an event which happened years ago and bears a special significance for what awaits you in Issue #7. As a final point, I want to say thank you to the amazing community of gamers who play, promote and support The Secret World. Without you, The Secret World would not be the amazing place that it is and I look forward to sharing more of The Secret World with you all moving forward. In keeping with their regular content and fix updates, patch 1.7 is the seventh massive set of updates and fixes, with more content coming very soon. Primarily, there was a major overhaul of signets, combat skill fixes/updates, and quite a few missions were modified. 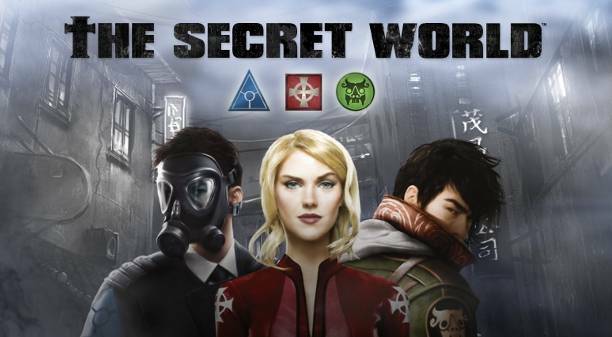 For anyone looking at a F2P with some amazing gameplay, check out The Secret World this weekend. Their Black Weekend event includes double XP, bonus nightmare currency, free months of gametime if you recruit friends, and even a free pair of black boots from the item store. If it’s been a while, at least log in for the free clothes! You can check out the original announcement over here. BLACK WEEKEND EVENT STARTING THIS FRIDAY! 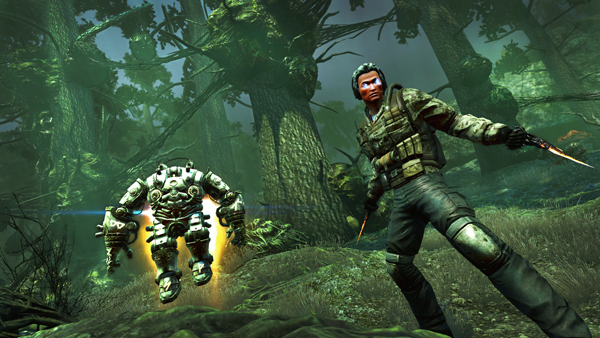 This weekend everyone will be able to enjoy great bonuses in The Secret World. Every day you log into the Secret World during the event you can claim a potion in the Item Store which doubles the XP you earn from killing monsters. Each potion lasts 8 hours. The potions can be claimed once per account every 24 hours. Every time you would get Black Bullion in The Secret World, such as from defeating a Nightmare Dungeon boss or using the Condenser of Quintessence, you will get one extra bonus Black Bullion during the event! Log in during the event and claim a pair of free Black Heavy Buckled Boots from the Item Store. Remember, monster hunters look awesome in black! Free Membership Months for Recruiting! For every new player you recruit from today and until the end of the Black Weekend Event you get a free month of Membership in addition to the Veteran Points you get normally (if you are a Grandmaster customer you receive $15 worth of Bonus Points instead). (To receive the month of Membership or Bonus Points you must invite between now and the end of the Black Weekend and the recruit must purchase The Secret World within 30 days.) Your recruitment page is available on your account page here.